A uma semana do começo do BE IN Festival deixo-vos aqui o calendário dos eventos que acontecerão durante o festival. Ainda existem bilhetes à venda, não vão esgotar. Vejam o evento no facebook para mais info ou sigam o primeiro link que direcciona para a página oficial. We are just 7 days away from the Be-In Gathering and we are so excited for your arrival!! * The Gathering will open on the 18th of June at 8am and close on the 22nd at 12pm. Please respect these timings. * You can drive your car into the camping site! You can either park you car next to your tent for the whole event or leave it in the parking lot (so you can use it to leave Boomland during the event). * There will be no ATMs or Wi-Fi on site. However, some of the bars and restaurants will accept debit/credit cards. We will also have lockers service at Info Stand working from 7am to 23pm. *Although we highly recommend moving around Boomland on foot or on a bicycle (bring one if you can! ), we will have a daily transport service between camping and the artistic areas. *Dogs, pets, fire, generators and disposable glass containers are NOT allowed on site. These rules helps us to create a safe space for everyone! 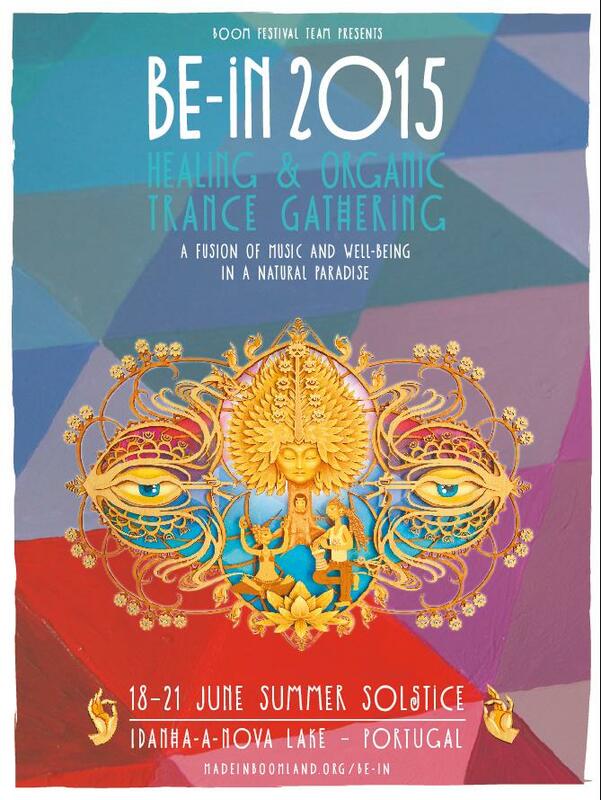 Our intention is that you enjoy the most amazing 4 days of your life! See you in the Summer Solstice!